May 1, 2011 - The Allied Pilots Association (APA), certified collective bargaining agent for the 11,000 pilots of American Airlines, expressed support for the decision by the Federal Aviation Administration (FAA) to institute changes in air traffic controller staffing and scheduling in an effort to alleviate fatigue, and urged similar regulatory reforms to commercial pilot scheduling practices. 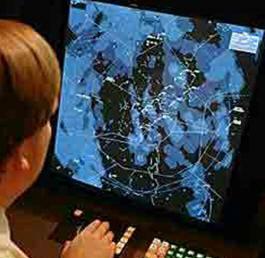 ?We welcome the FAA?s actions to mitigate fatigue among air traffic controllers and look forward to additional measures that further address this critical safety issue for controllers and other aviation professionals,? said APA President Captain Dave Bates. ?Earlier this week we were reminded of the danger posed by fatigue when the National Transportation Safety Board issued its report on the January 2009 crash of a cargo plane in Lubbock, Texas. The NTSB cited pilot fatigue as a contributing factor in the accident. ?The NTSB has included the reduction of aviation accidents caused by human fatigue on its ?most-wanted? list of transportation safety improvements for two decades,? he said. ?It?s well past time for pilot flight- and duty-time regulations to reflect current scientific knowledge about the impact of fatigue on performance and how to address it.? The FAA is scheduled to introduce revised pilot flight- and duty-time rules later this year following a lengthy rulemaking process. Existing flight- and duty-time rules have been in effect for more than 50 years, predating the introduction of jet airliners. The FAA reauthorization bill now being debated includes an amendment to exempt some airline operations from the forthcoming new regulations. ?We also join the NTSB and the Air Line Pilots Association in urging lawmakers to refrain from agreeing to any carve-outs where updated pilot flight- and duty-time regulations are concerned,? Bates said. ?Policymakers should adhere to the FAA?s stated goal of ?one level of safety? for all carriers, particularly in light of today?s complex operating environment. Congested airspace, ultra-long-range flights crossing numerous time zones and circadian rhythm disruption all highlight the need for updated, uniform regulations.? Founded in 1963, the Allied Pilots Association?the largest independent pilot union in the U.S.?is headquartered in Fort Worth, Texas. APA represents the 11,000 pilots of American Airlines, including more than 1,200 pilots not yet offered recall from furlough. The furloughs began shortly after the September 11, 2001 attacks. Also, several hundred American Airlines pilots are on full-time military leave of absence serving in the armed forces.